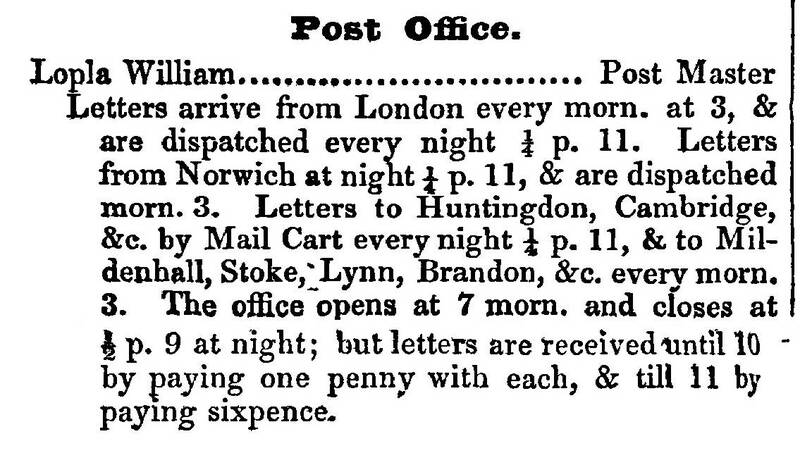 William Crisswell was the son of Thomas & Mary Crisswell, born 1842 in Fenstanton, Huntingdonshire. His younger brother Samuel, born 1847 in Fenstanton, also moved into Newmarket and opened a Grocer Store 'Crisswell's Supply Stores' in Wellington Street. and Charles Horace Crisswell with his wife Gladys Laura (nee Hall). 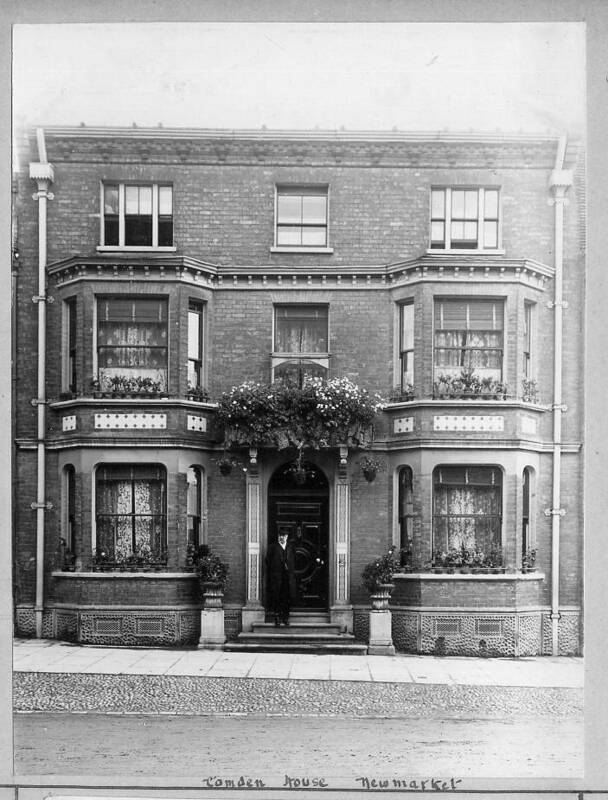 Son Ernest Clifford Crisswell married Ethel Copeland Harper, moved into Willoughby House - No.103 High Street and was the owner of Crisswell's Garage No.s 170-174 High Street. According to the Newmarket street market map of 1904 Crisswell's had opened a cycle shop in Holland House - No.61 High Street - this shop may have been associated in some way to son Ernest's garage but the market map does say that Mr. Crisswell lived in Camden House, so presumably this was William. 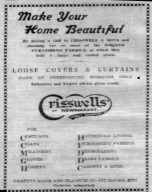 In 1926 Crisswell & Sons drapers had moved across the road to No. 80 High Street and Camden House was occupied by Hayhow & Son. Many thanks to Peter Norman for the photo above, taken in 1927, which clearly shows Camden House on the right, tucked between the Star Hotel at the far edge of the picture and Golding & Sons Tailors with its large white awning fronting onto the market stalls. The house was clearly very grand at this time, with a raised entrance door and steps leading down onto the pavement, with pillars either side. The same building stands there today, the delicate cornice above the first-floor bay windows is still there, but the elegant ground floor frontage has been replaced by a garish advert-ridden plate-glass shop window. As detailed above, at the time of this photo Camden House was occupied by Hayhow & Son. 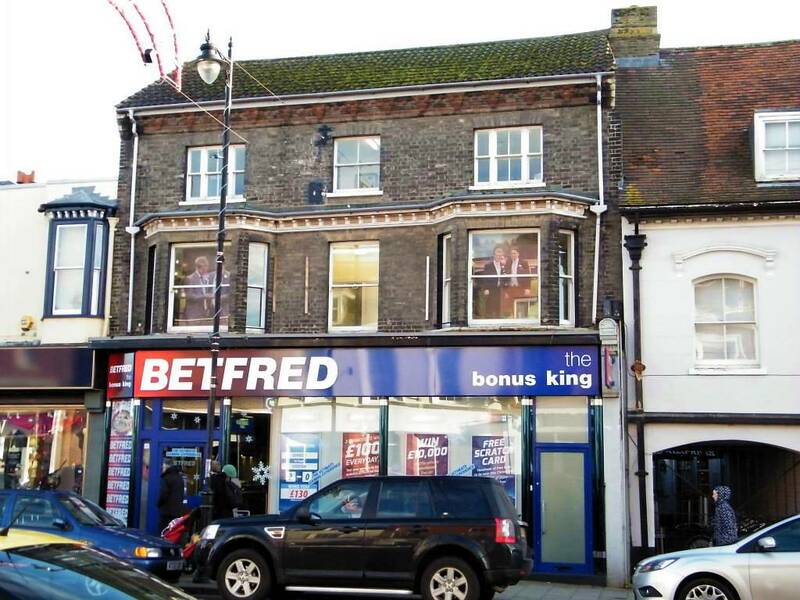 Born in Horningsea in 1858, when he first came to Newmarket at the age of 30 Israel Hayhow opened his grocery shop in No.1 Came's Buildings in Rous Road. By 1896 he'd moved his shop to No.104 High Street, next door to J.W. Carr's chemists. 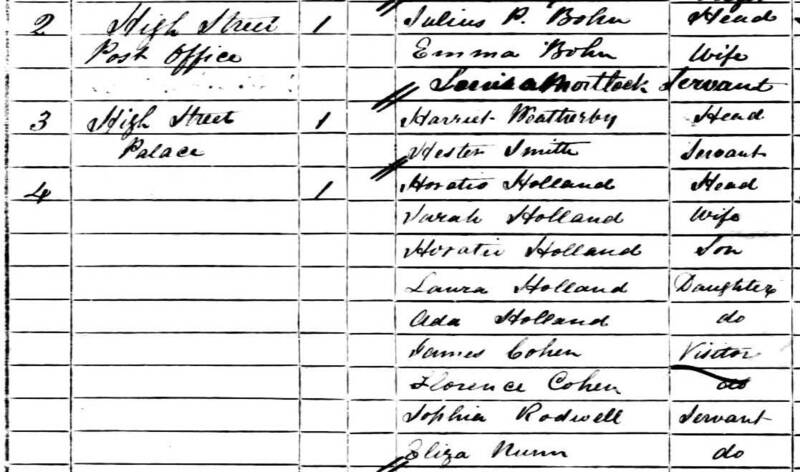 In the 1926 Newmarket Street Directory he's listed both there and here in Camden House and by this time his business was known as Hayhow & Son. Israel died soon after on 23rd August 1931 and left his business to his son Lewis. By 1936 the business doesn't seem to be trading any longer and Lewis was living at the Chestnuts - No.16 High Street. 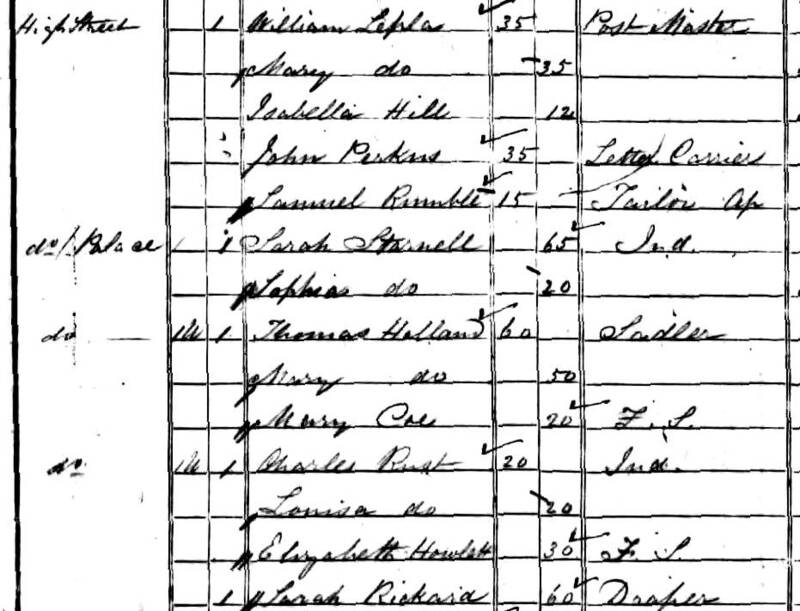 The 1841 and 1861 censuses show something really interesting for this location - between what was then the Star Inn and the remains of Charles II's Palace on the High Street (Queen Anne's Pavilion) ... there was a 'Post Office'. Golding's shop wasn't opened until 1863 and it's pre-cursor the Chamberlain's office in the palace had been pulled down by 1855. So for the location of the Post Office we're left with either Camden House or maybe an earlier building at this same location. 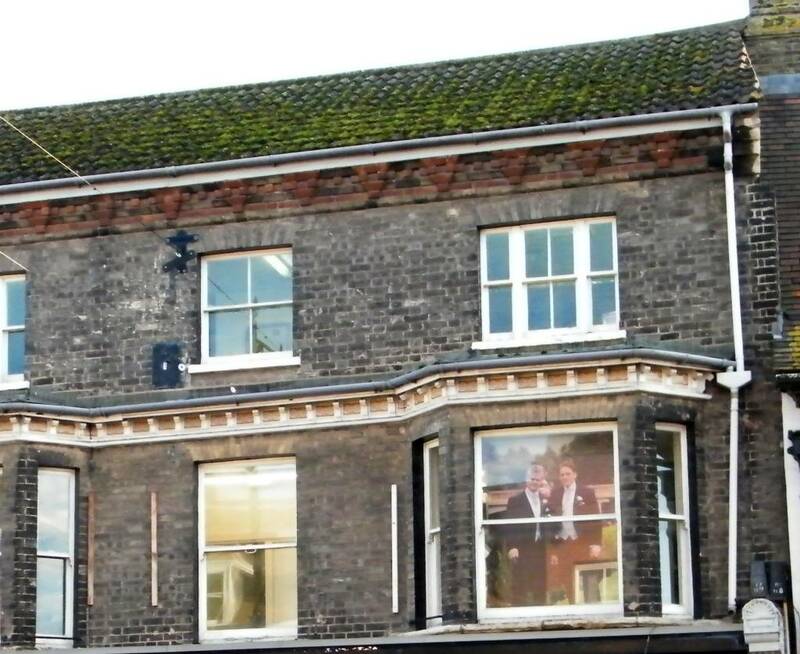 This looks like it could have been the first post office in Newmarket and pre-dates that on the other side of the road at No.122 High Street, the building which was demolished by the bomb on February 18th 1941. 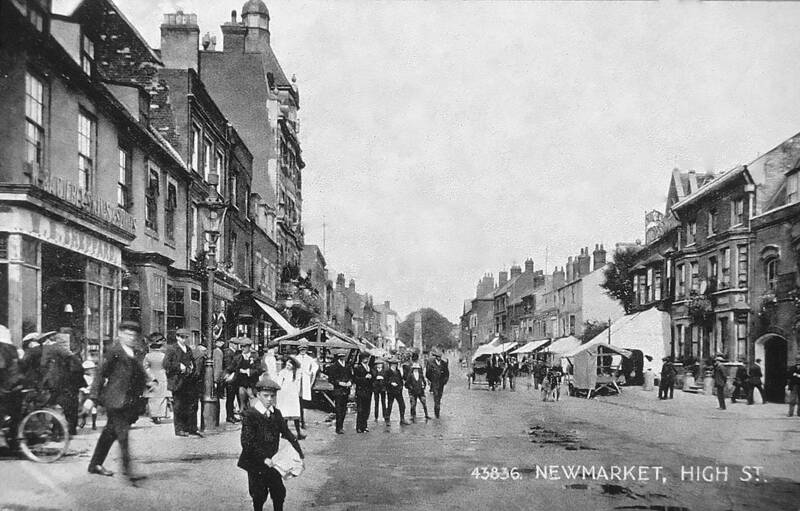 Many thanks to 'Old Newmarket' for the photo 'Crisswells of Newmarket'.